Tomorrow I go back to real world. I have a week of teacher meetings ahead of me where we will inevitably discuss the benefits of rigorous culminating activities for the new darlings that will enter our classroom in just over a week. In that vain, this Friday, my last official day of summer vacation, I decided to have my own culminating activity for my summer. Here is what occurred (WARNING: Sometimes I was working so hard on my rigorous activity that I didn't take pictures). 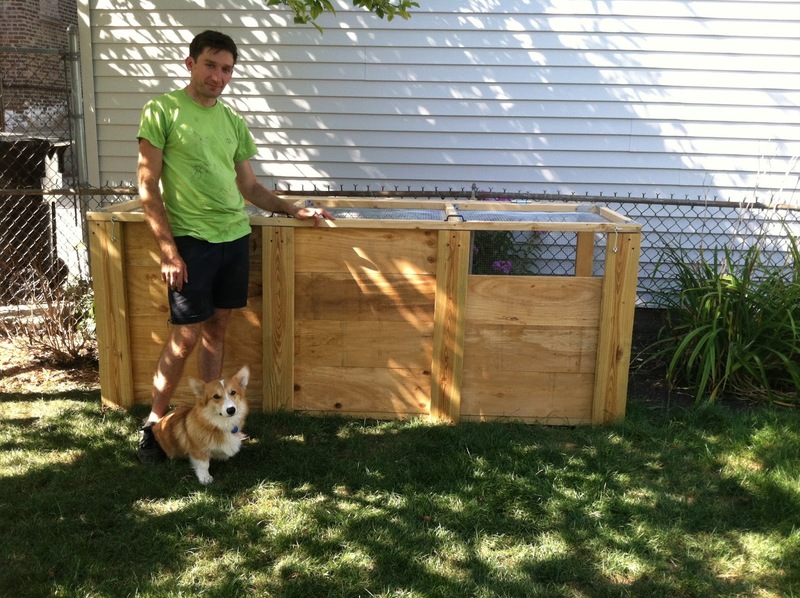 Max took the day off on Friday to hang with me and he finished our compost! While Max was working away on the compost. 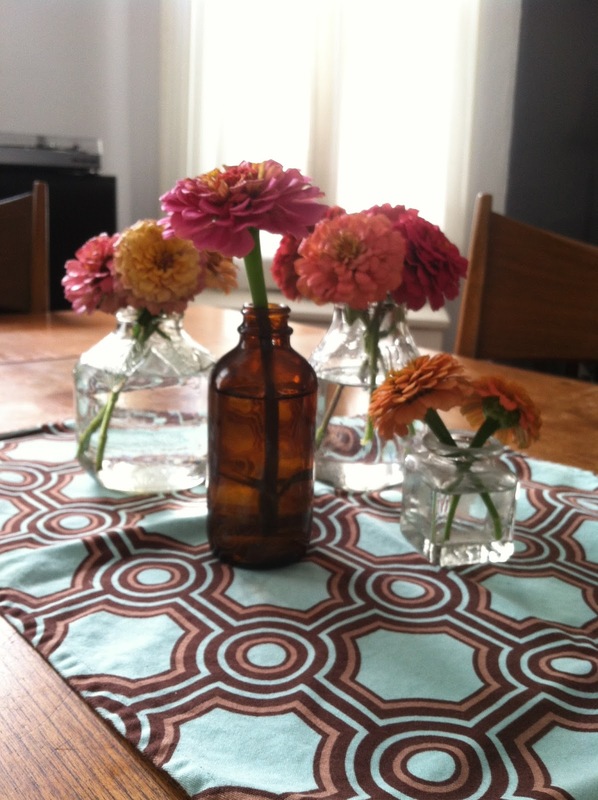 I cut some zinnias and dahlias to put around the house. Our dear friends Mike and Eva came over for some grilled sausages, a fire, and some dog romping. 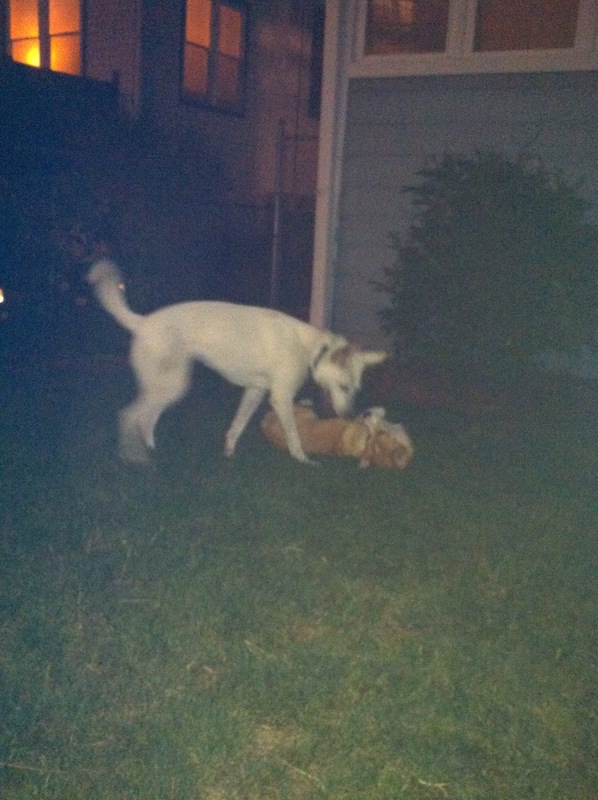 Walter and Toulouse playing the night away. The capstone of our evening may have been this beauty. 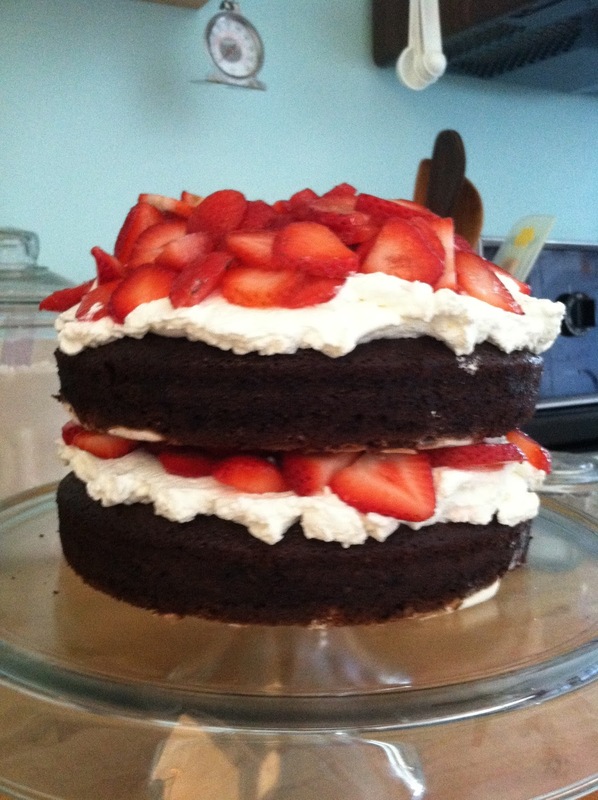 I made this surprisingly easy summer cake for dessert. According to my self-created rubric, I scored a 100%. I know, I know, I sound like I'm bragging but friends, family, dogs, delicious eats, and the reapings of our backyard is what best describes my delightful summer.